Only some hours ago, NASA reported about an earth-like planet, Kepler 22b, found in the sky region of Cygnus (Swan) and Lyra. 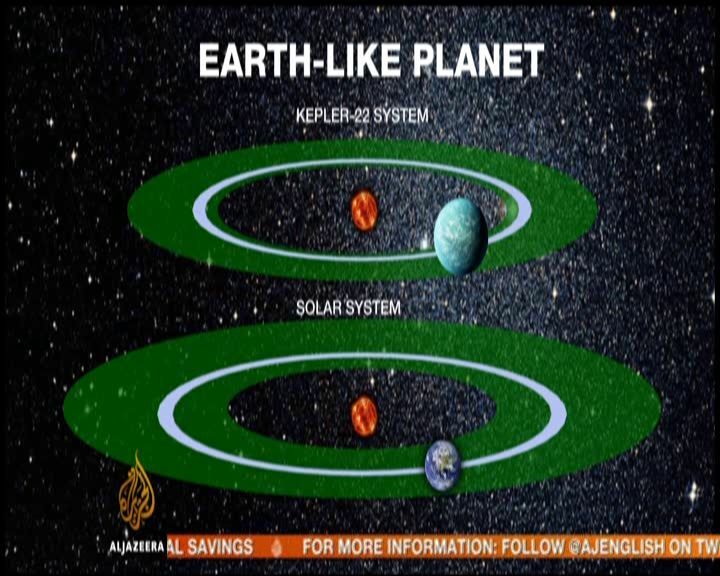 This planet is orbiting a sun similar like ours and in a distance that would make human life possible, i.e. where liquid water could exist which is essential for the existence of human tissue. 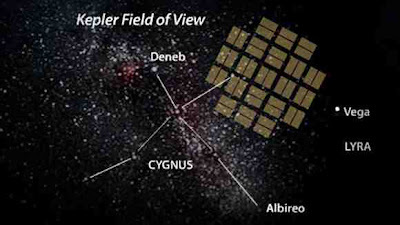 Area of search of the Kepler mission in the star constellations of Cygnus (Swan) and Lyra. 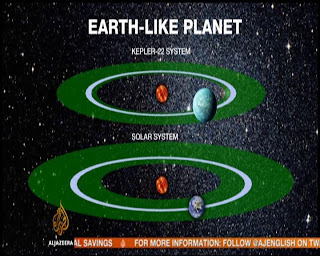 NASA's Kepler mission has confirmed its first planet in the "habitable zone" [of a star], the region where liquid water could exist on a planet’s surface. Kepler also has discovered more than 1,000 new planet candidates, nearly doubling its previously known count. Ten of these candidates are near-Earth-size and orbit in the habitable zone of their host star. Candidates require follow-up observations to verify they are actual planets.